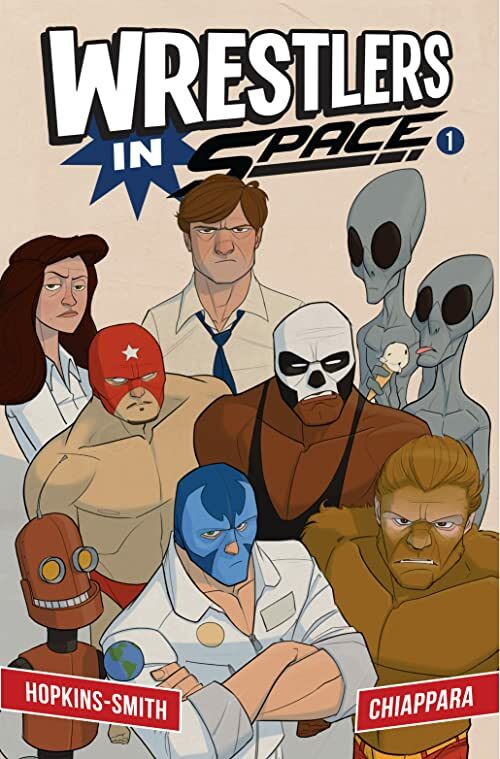 This is the first issue in an ongoing series, Wrestlers in Space is a Comedy/Sci-Fi/Adventure about four Luchadores lost in space. Finding their way home through strange surroundings and causing havoc for the universe along the way. Join the team as they make friends and enemies while they desperately try to get back to earth.